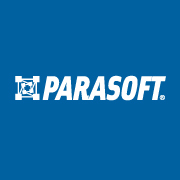 Founded in 1987, Parasoft researches and develops software solutions that help organizations deliver defect-free software efficiently. By integrating development testing, API testing, and service virtualization, we reduce the time, effort, and cost of delivering secure, reliable, and compliant software. Parasoft's enterprise and embedded development solutions which include static analysis, unit testing, coverage analysis, requirements traceability, functional and load testing, dev/test environment management, and more are the industry's most comprehensive. The majority of Fortune 500 companies rely on Parasoft to help them produce top-quality software consistently and efficiently. Employing over 250 people worldwide, Parasoft is a privately-held, debt-free, and profitable company. Create and manage simulated test environments with Parasoft Service Virtualization. Access complete test environments anytime, anywhere in order to test earlier, faster, and more completely.